In less than three hours you can drive from Kansas City to Omaha, Nebraska. Once there you will find a multitude of attractions, activities, and oddities to keep you occupied. We have made this trip on multiple occasions, and it seems that we always find plenty to keep us busy. This place makes for a wonderful three day weekend destination, and you can still get back home early enough on the Sunday to catch your breath. Our itinerary will usually have us heading out after an early breakfast on a Friday morning. The drive up is fairly normal landscape for the Midwest, and stops along the way are limited to quick rest stops, if needed. Once we hit town our first stop is usually in the Old Market area. Here you will find a multitude of restaurant options. 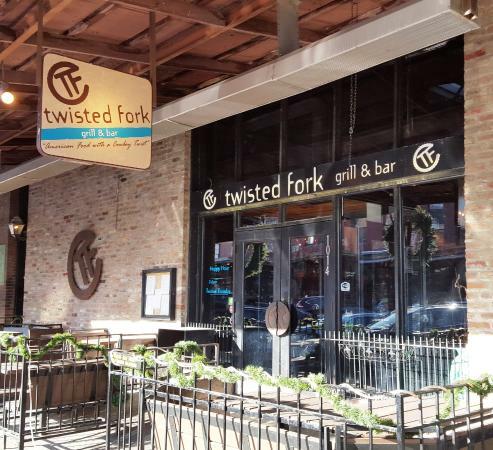 The Twisted Fork is a funky little eatery that serves up standard fare with a contemporary spin. For those looking for a more traditional meal, Old Market Spaghetti Works dishes up Italian plates at reasonable prices. After refueling our energy, it is time to do a little retail therapy. This area is packed with an eclectic collection of boutiques, art galleries, antique stores, and collectibles shops. We love to wander through the Old Market Passageway looking at what is available. If your sweet tooth gets to you there is a nice little candy store nearby, as well as a cupcake shop. Quite often we can spend a considerable part of the day in this part of town, and before long it is time to make our way to our hotel. We have stayed at a variety of lodging options in Omaha, but our favorite place is definitely the Magnolia Hotel. 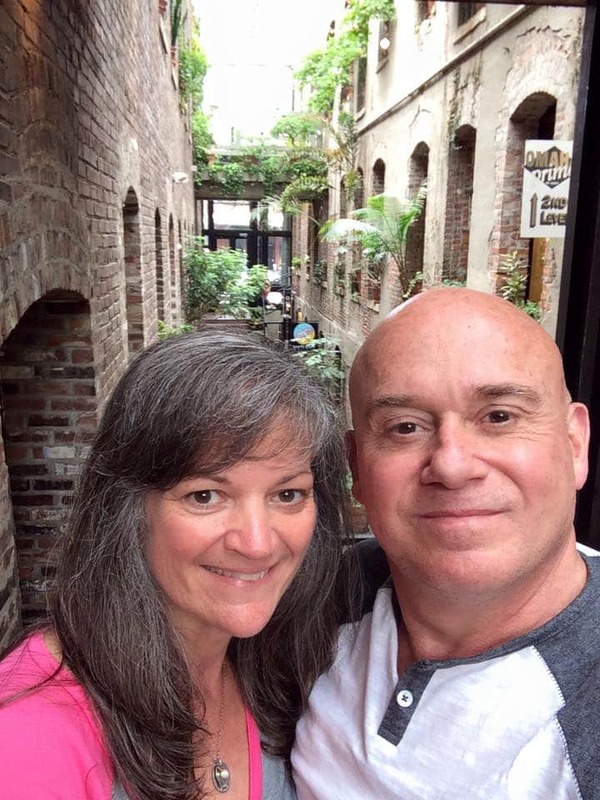 Since our kids are grown, we find this boutique hotel, which is on the National Historic Registry, to be a great couples get-away. It is located just up the street from the Old Market, and offers a free shuttle (think Cadillac Escalade). This helps having to get your car from the valet. They have a restaurant and bar on site, and each evening they offer FREE milk and cookies to their guests. We love this special treat! The hotel offers special packages that include various amenities, so if you are interested it is worth signing up for their emails. Saturday morning we start our day with a good breakfast at the hotel, when it is included in the package. If not, we will usually grab a bite at one of the local bakeries or coffee houses. 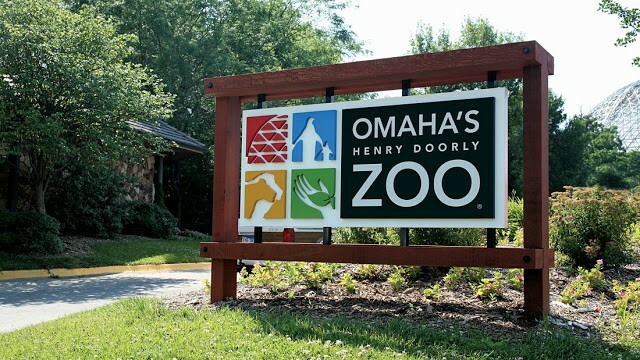 Now it is off to the Henry Doorly Zoo for a day of animal watching. This has to be our favorite zoological park in the Midwest, and their exhibits are impressive. We always grab our lunch at the Treetops Restaurant, which offers a good view of the rain-forest exhibit while you eat for an affordable price. They also feature an aquarium, butterfly house, desert dome (can be kind of toasty in the summer), and a world class primate area. As the afternoon wears on, we notice the animals starting to slow down. Soon they all seem ready for their day to end, and it is our signal to start heading toward the gate. If it is early enough, we will have time to make a stop at the Durham Museum. Here we can see the history of Omaha, and find some interesting selfie opportunities. We head back to the hotel to freshen up, and then have the valet drive us down to the Old Market area. With so many restaurant options, we never struggle finding something delicious. Afterwards, we may choose a stroll in Heartland of America Park. Once we’ve walked off dinner it is time to head back to the hotel for our nightly cookie break. Mmm…they even have flavoring to add to your milk. Sunday morning may be spent lounging around the hotel, since it’s hard to say goodbye to this place. Soon we know that we need to start our return trip. Fortunately, there is another stop we can make before leaving Nebraska. 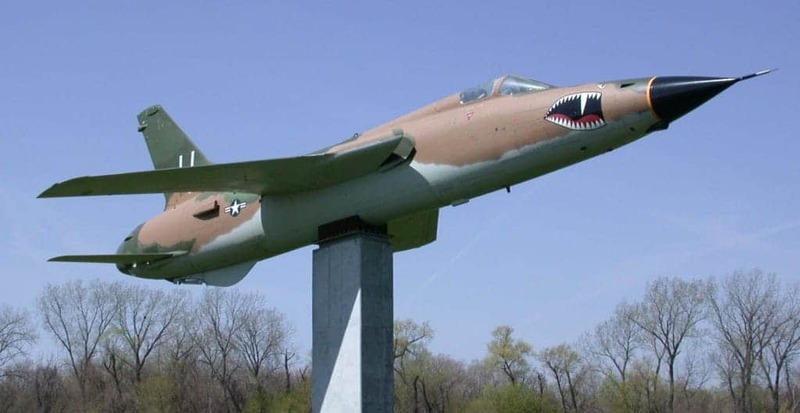 Just about a half hour away, in Ashland, you will find the Strategic Air Command Museum. We can spend a few hours here, but soon our stomachs are asking for lunch. As we head down the road we take comfort in knowing that we will be home before dinnertime. For our next visit we will need to add different attractions and restaurants to our itinerary, but that will have to wait for now. Oh, I’ve never been to Nebraska. 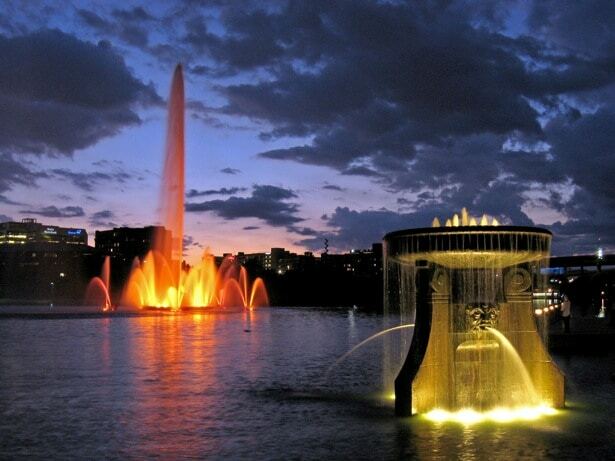 Omaha looks so calm and beautiful. It is a beautiful region to see. Your pictures are absolutely gorgeous and Nebraska as well. Thanks for visiting. We hope you get to see it someday. Great!!! Your pictures are absolutely gorgeous.I think you had a great enjoyed.Thanks for sharing. Thank you very much. We are so glad you enjoy them.